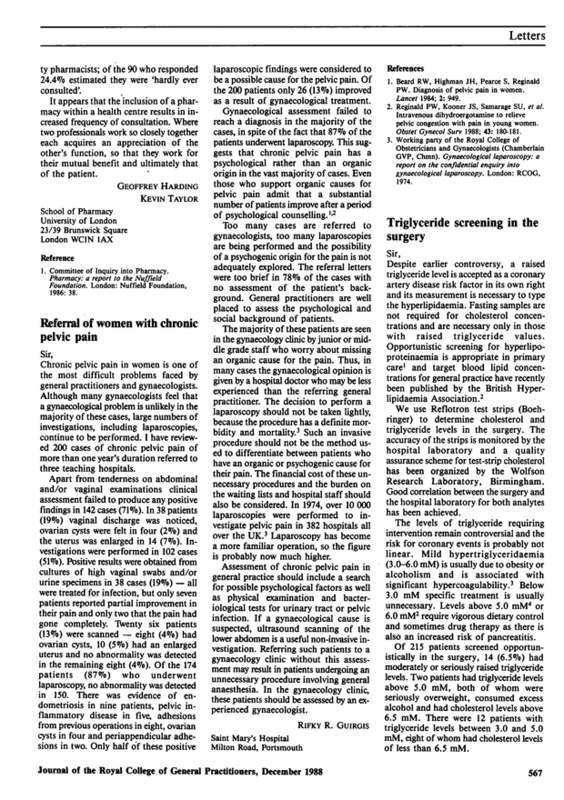 Triglyceride screening in the surgery. J R Coll Gen Pract 1988; 38 (317): 567-568. You are going to email the following Triglyceride screening in the surgery.